I'm going to Sibu this weekend for my grand mother's 80's birthday celebration. This reminds me of the famous ding bian hu 鼎边糊 which I should blog. 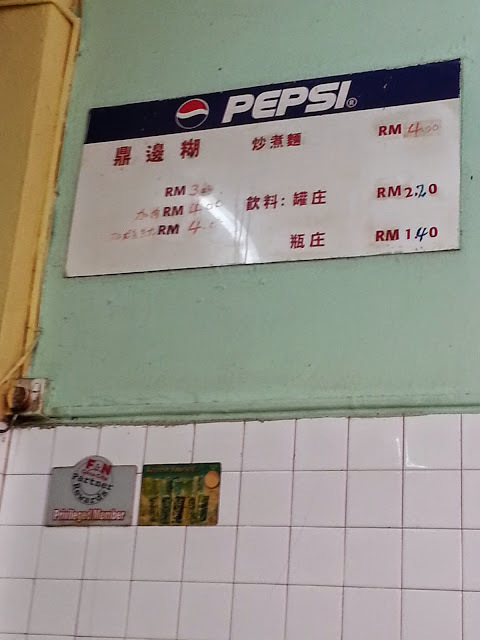 Everyone in Sibu knows where to have it and the shop has been existing more than 30 years, even during the courtship of my parents, I guess? 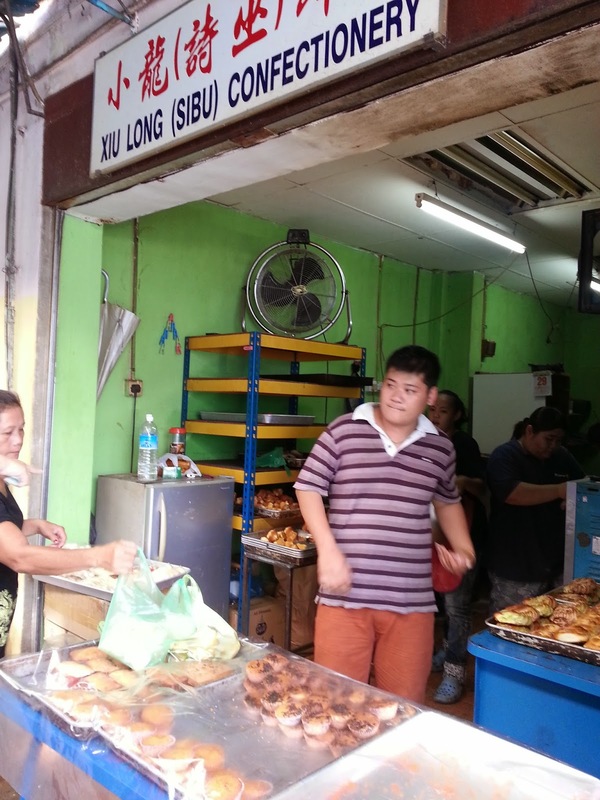 Every trip to Sibu, this is the place my father and I will not miss out. Since kids we always went there for a hot bowl of ding bian hu and a bottle of local-made soda drinks. That's our childhood memory. So what's so special about this ding bian hu? 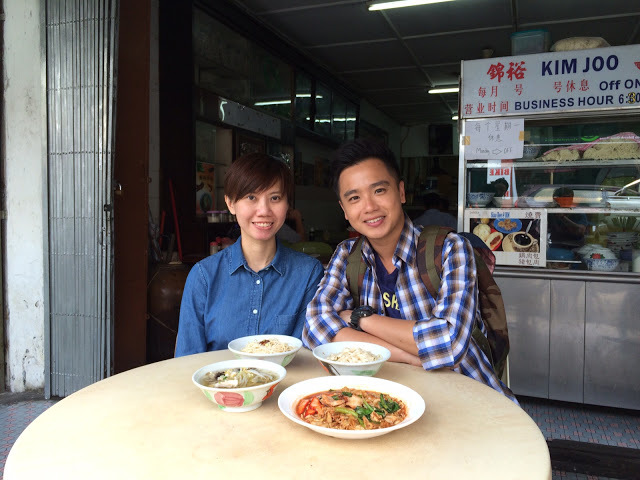 It's Foochow delicacy. Mix the rice flour with water, cook it around the rim of wok with the broth boiling in the wok. When the rice flour is cooked, scrap it into the broth. 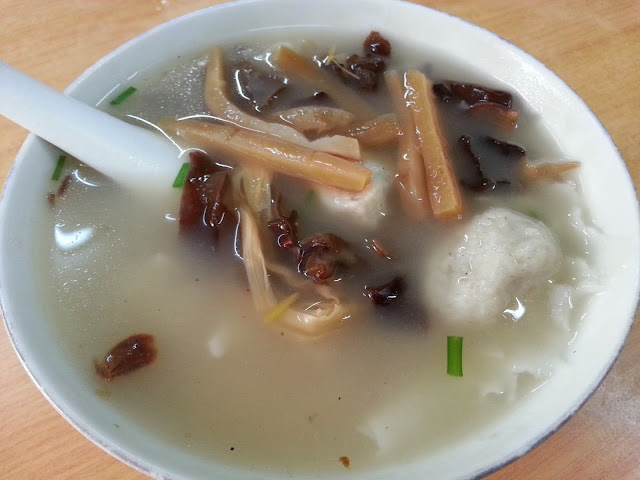 Garnished with fish balls, cuttlefish, black fungus, deep fried shallots and pepper. It should be served with ceramic bowl and spoon (it does make the taste different). 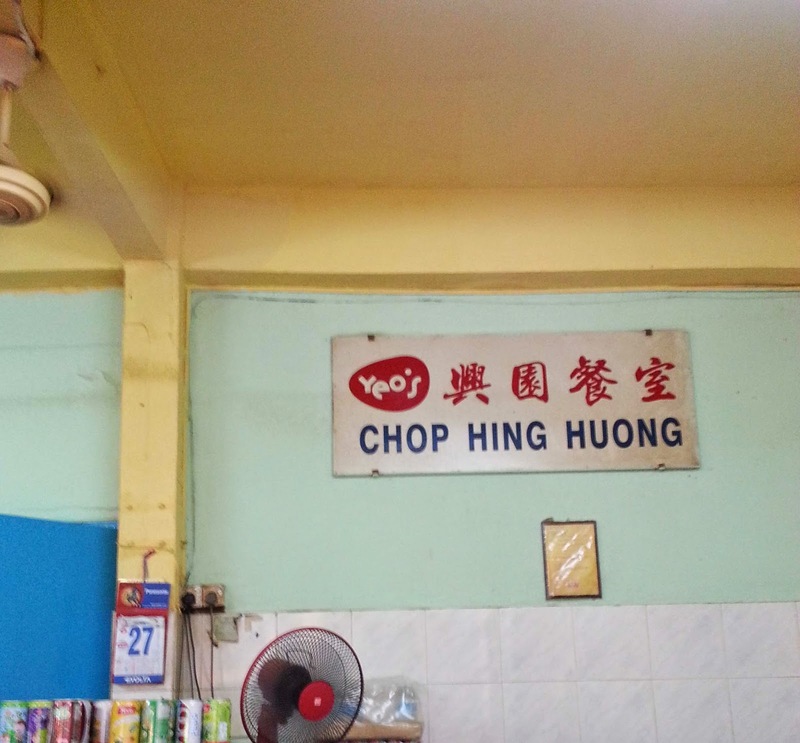 Chop Hing Huong's ding bian hu is different from others is because they made the fish balls themselves. 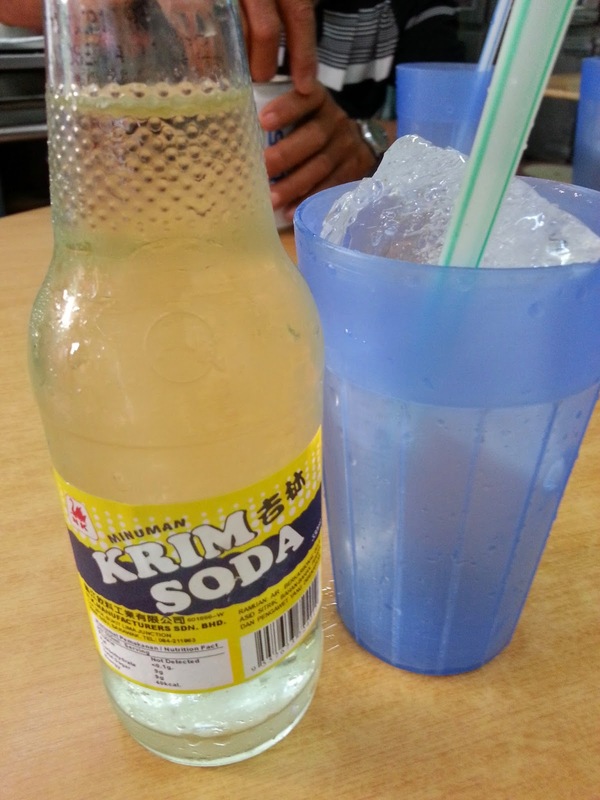 Cream soda manufactured in Sibu. 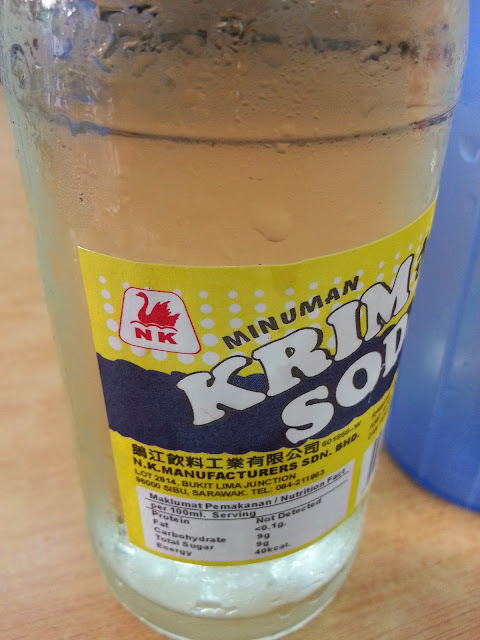 It is only available in Sibu. Less gas and sweet. Full of our childhood memory. There's another brand of cream soda made in Sibu too. 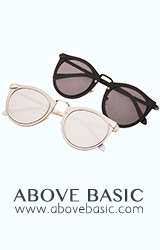 I would still prefer N.K. 's cream soda. 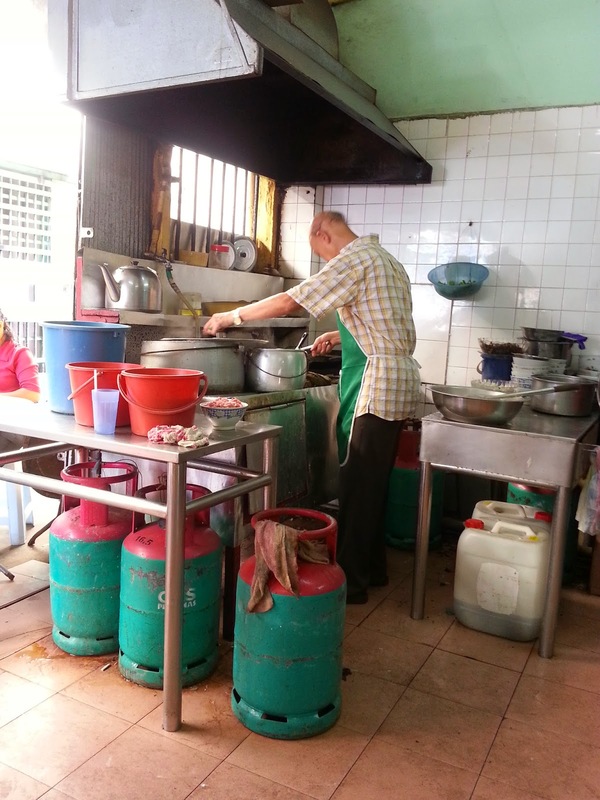 After ding bian hu, I always got attracted by the aroma of kuih bahulu from next door. It's a must have food for me. I had 2 pieces of bahulu after a big bowl of ding bian hu. 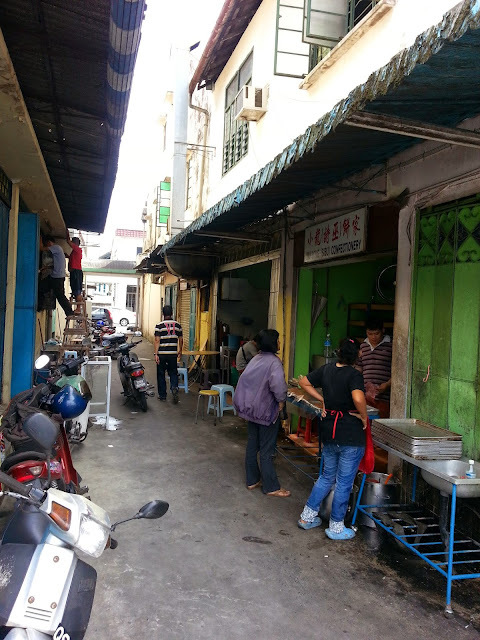 Kuching has better taste of ding bian hu too, one at Peach Garden Jalan Song (evening operation) and one at Sing Garden Hui Sing (morning operation).